People lined the streets, three and four deep, to watch Portishead’s carnival procession on June 16th, before flocking to the field to enjoy live entertainment, DJs, stalls, rides, food and drink. Despite a few showers during the afternoon, the crowds had staying power and the months of hard work by organisers, volunteers and participants resulted in an amazing community event enjoyed by the masses. 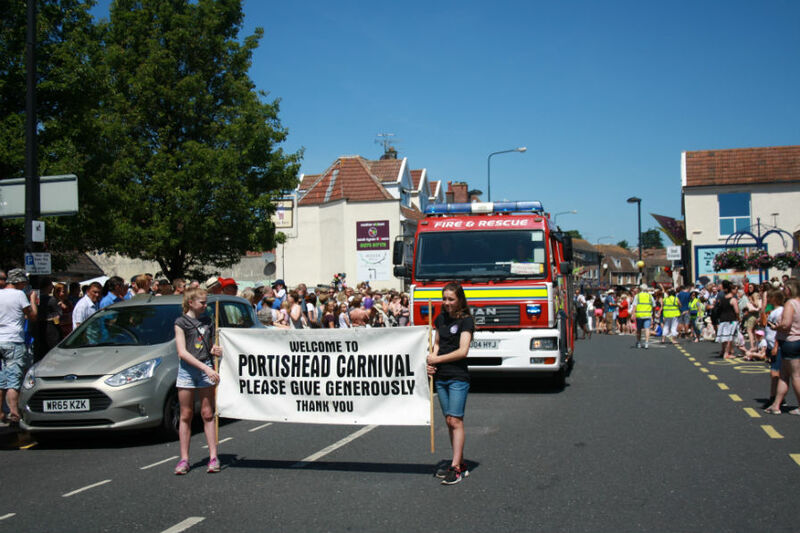 This year Portishead Carnival came under threat when its main sponsor pulled out at the last minute, however in true Portishead style people rallied, the town council and local businesses all stepped up to help secure the event's future. Organisers Jemma and Wendy both say they have been overwhelmed by the support carnival has received this year and they want to say a huge thank you to everyone, from the Town Council with a £5k grant, to the little girl who spent her pocket money on a programme.